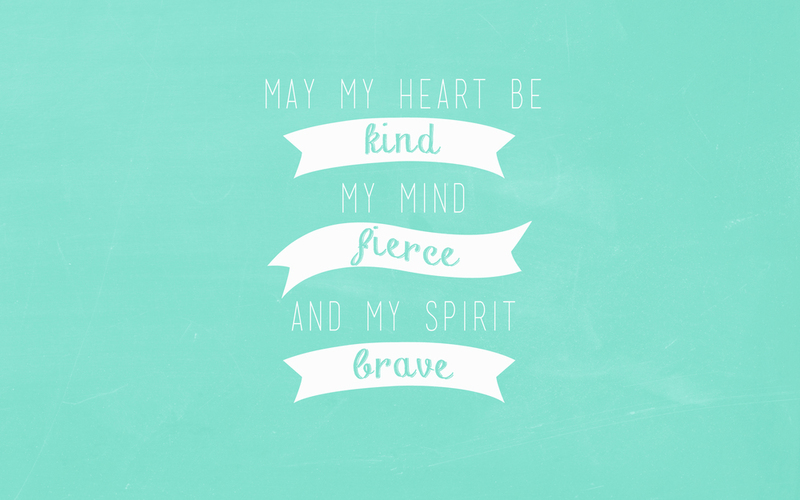 Kind, Fierce, Brave - Free Download! I've been playing a lot lately, trying to keep up my creativity by doing things besides photography. Watching my graphic designer boyfriend at work has always fascinated me, so I thought I'd try my hand at it with one of my favorite quotes. I'll keep sharing these (at least the ones I consider successful) and you can click here or on the photo to download a desktop background. If you find other quotes you think I should illustrate, share them with me in the comments or on Pinterest!